Italian immigrants arrived to Peru several decades ago, bringing with them their wonderful food, which we adopted at once with utmost pleasure. Among their most popular confections was panettone, a festive yeasted sweet bread famous in Italy during the Christmas celebrations. 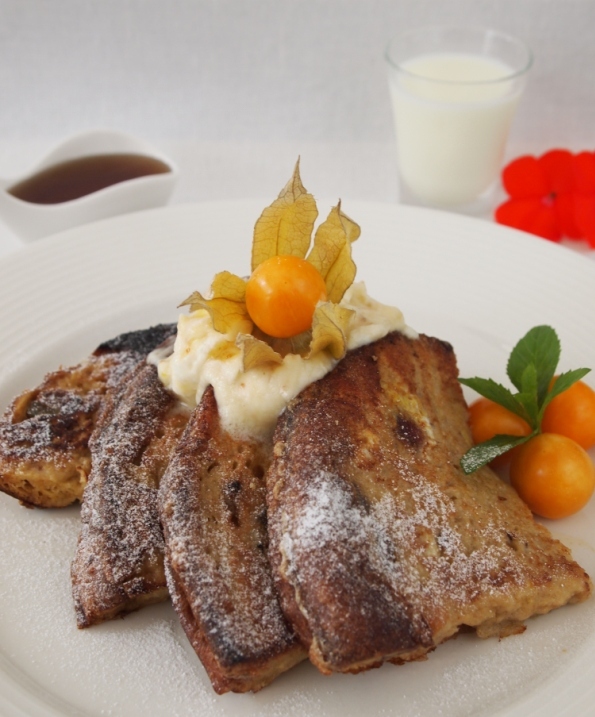 Surprisingly to many, Peru is now the third largest consumer of panettone in the world, only behind Italy –the champion,- and Argentina, wich has the second place. We call it panetón, and every Christmas you can see tens of brands, both industrial and artisanal, in every store and market in the country. Having a mug of hot chocolate or a café con leche, along with a big slice of panetón for breakfast, or a mid afternoon snack, is very common among Peruvians at this time of the year (a lot of people love it smothered with butter and strawberry marmalade). Its popularity is so overwhelming that some brands sell the bread also in July, for the Independence celebrations, or even throughout the year. I found mountains of panetón in some supermarkets here in the US, and I don´t mean the Italian brands but the Peruvian. I bought one and had it for breakfast with my son today, as you can see in the picture. Its popularity abroad is no surprise to me, as I’m sure it brings sweet Christmas memories to homesick Peruvians all over the world. Oh wow, I did not know that there was a Peruvian one. Looks good .. and fun to eat! What a festive pastry! Looks beautiful! Thanks, Vanessa. I´m glad you like it. que delicia. it looks perfect with that cafe con leche. 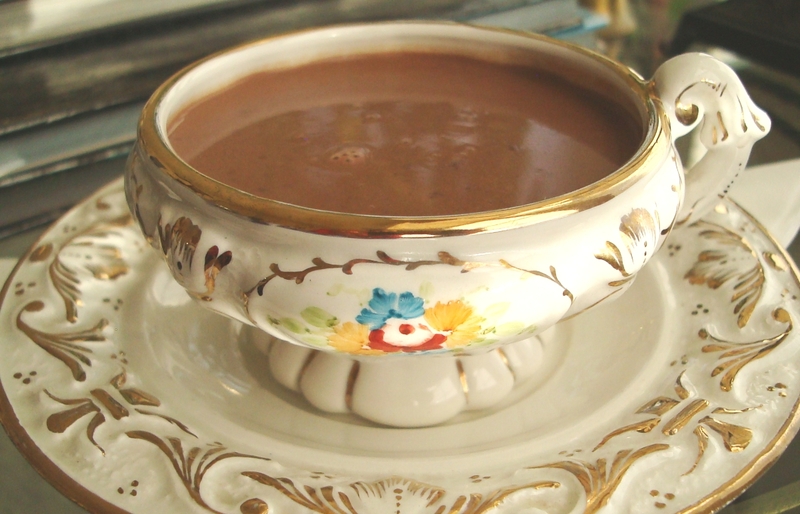 Si, y con chocolate caliente o un buen te. Siempre es delicioso. My parents have a chocolate chip paneton from New York in their Florida kitchen counter right now. It tastes great. Thanks for sharing! dude, I never knew these where from Peru. I always get one from my aunt. I want to try yours tho. I´ve seen Panetón Donofrio in supermarkets, here in the US. If you can get one, this is a Peruvian brand. I had no idea Peru was second in producing great paneton! wow. what a great food fact… i’ve honestly never been a fan but I had a really good one from a gourmet shop last year and really, really enjoyed it. We also make a version of paneton in Cuba which I’ve not shared on my blog–but that’s about to change. Thanks for the inspiration to go for something I’m not terribly crazy about. Your’s looks so heart-warming! Thanks, Bren! Actually we have the third place in the world competition of panetoneros. In Lima, I used to buy several mini panetones, cut a slice at the bottom of each one, made a hole and filled the mini panettone with ice cream, then I wrapped them in foil. I had this delicacy for months in the fridge. A nice frozen treat for the summer months. YUMMY TO MY TUMMY>>> I NEED THAT IN MY MOUTH NOW! Yes, me too, it´s too good. Aha!!! You have a sweet tooth, just like us!!! Woooou!! Que foto mas sugestiva! Me toco pararme del computador y buscar algo que se le pareciera hehe. Where can I find gluten free paneton,empadas,and turron? 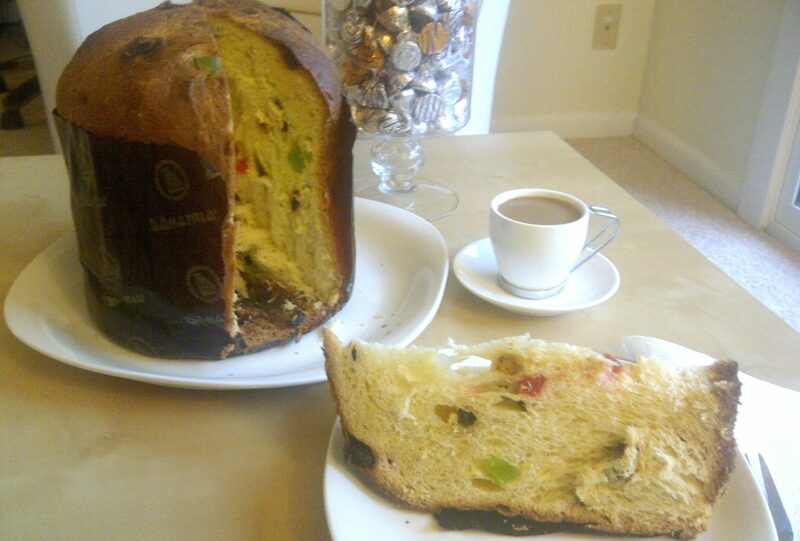 Kindly confirm source of Peru being 3rd in largest Panettone consumption. What about Brazil? Does not Bauduco have the lion share of the US Panettone market? Don’t take me wrong, I am not disputing. I just would like to see sources. Hi Carlos. Love for panettone is growing in all South American countries. It´s good to know that Brazil is a big producer, while Peru is a huge consumer. We’re glad you learned something new Francisco, and that you share the tradition of Paneton with coworkers. You should try it toasted, with butter and/or jelly. It’s very good too!